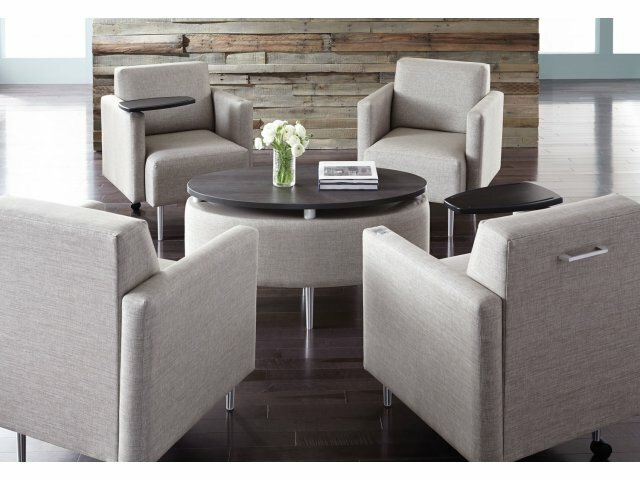 This club chair offers the perfect place to sink in and get to work. 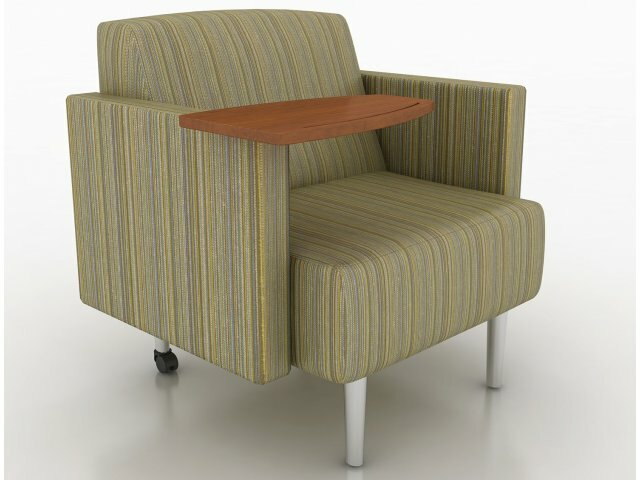 A rotating tablet arm provides a convenient place for a tablet or laptop, while a built-in handle and dual-wheel casters on the back legs, make it easy to rearrange or pull up a chair. Convenient Design: Rotating tablet arm provides the perfect instant work surface. 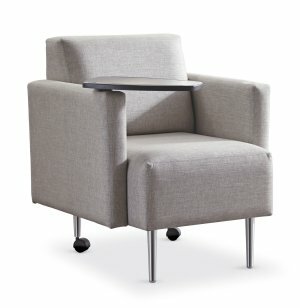 Sleek Legs: Stands on brushed aluminum legs with adjustable glides (on front legs). Smooth Rolling: Back legs have 2.5" dual-wheel casters for hassle-free moving. 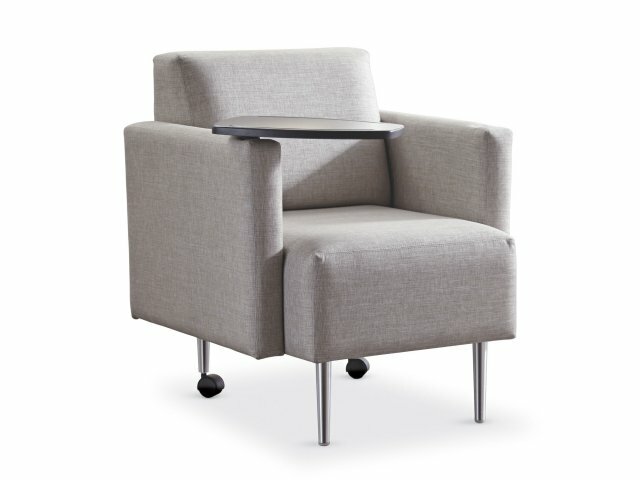 Easy Pull: A solid aluminum pull handle on the back of the chair makes it easy to steer into position.